I obtained my PhD in Mathematics in 2001, at the Universitat de Barcelona. 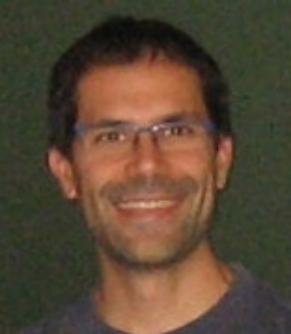 The thesis “Infinitesimal conditions and linear systems of plane curves,” supervised by Eduardo Casas Alvero, got the Extraordinary Prize of the University and a Special Mention of the Jury of the Premio Enriques to the best mathematical PhD thesis related to the work of Federigo Enriques. After a post-doc stay at the University of Nice, I entered the Universitat Autònoma de Barcelona as a “Ramón y Cajal” fellow, later becoming an associate professor there. My research belongs to the field of Algebraic Geometry, especially Interpolation in several variables, Singularities and related questions. I contributed to the Nagata and Segre-Harbourne-Gimigliano-Hirshowitz conjectures, to the study of degeneration of singularities and zerodiemensional schemes, Hilbert schemes and Seshadri constants, among others. At present I am interested in Nonarchimedean Analytic Geometry and Tropical Geometry.